Put the matter another way to have down to a science all the basic techniques of playing: chords, strumming, terrando, glissando, legato, etc. I cover all styles on both electric and acoustic guitar, enabling my guitar students to learn through the playing the songs that they love. Whether that is rock, pop, jazz, funk, blues, folk or anything in between we can cover it in our lessons. Why people choose? I use the best teaching materials of Berklee College of Music — the most reputable music school. These materials were engaged by guitar stars: Steve Vai, John Scofield, John Petrucci, Mike Stern, Al Di Meola. Knowledge that is systematized and packaged in a series of lessons with the same theme. The main objective of the course — familiarity with the tools and skill acquisition in popular accompaniment styles. The course covers basic knowledge and skills from all areas of musical practice, enough to start to accompany, to play your favourite song on the guitar. Acquire the skills necessary professional guitarist, "see" vulture, understand tool. Here we deal only with technical issues, recruit level. Hear and understand, feel the rhythm and time, to find "footing" and to become, finally, the musician. Here, all that is needed to begin to develop hearing and sense of rhythm. We will listen to and understand what others are playing, and learn to play their ideas. A professional musician, guitarist, guitar teacher taught ensemble in Berklee College of Music for a 5-Week Summer Program participant and winner of international festivals and competitions a permanent member of the professional music projects. Acoustic Guitars come with steel strings, not to be confused with Classical Guitars which have nylon strings and wider necks. Both Guitars are played the same way, though they do have differences in tone between them. 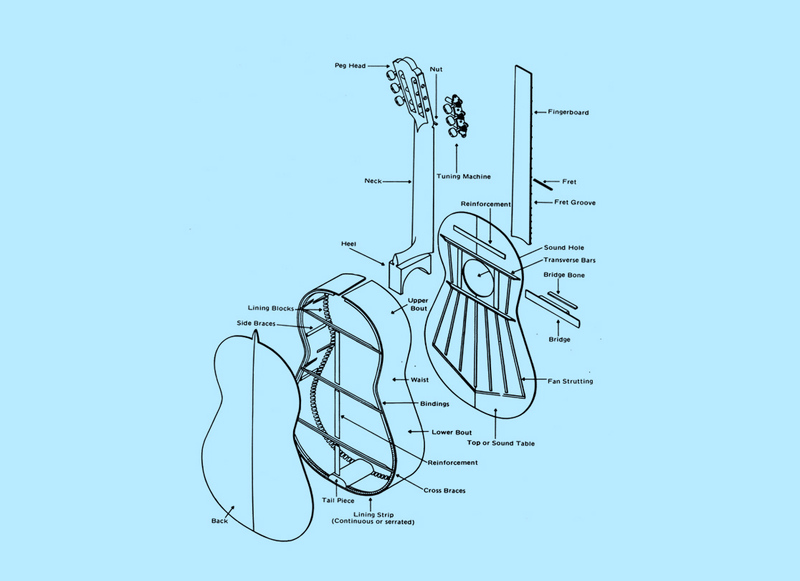 There are broadly 2 kinds of Acoustic Guitars, the Acoustic and Acoustic-Electric(or Semi-Acoustic). The Acoustic-Electric is played cabled to an Acoustic Guitar Amplifier and it will typically have equalizer controls(pre-amps) to adjust the tone of the sound from the amplifier. The Circle of Fifths is a quick and widely used Reference for identifying the Key of a Music Piece. 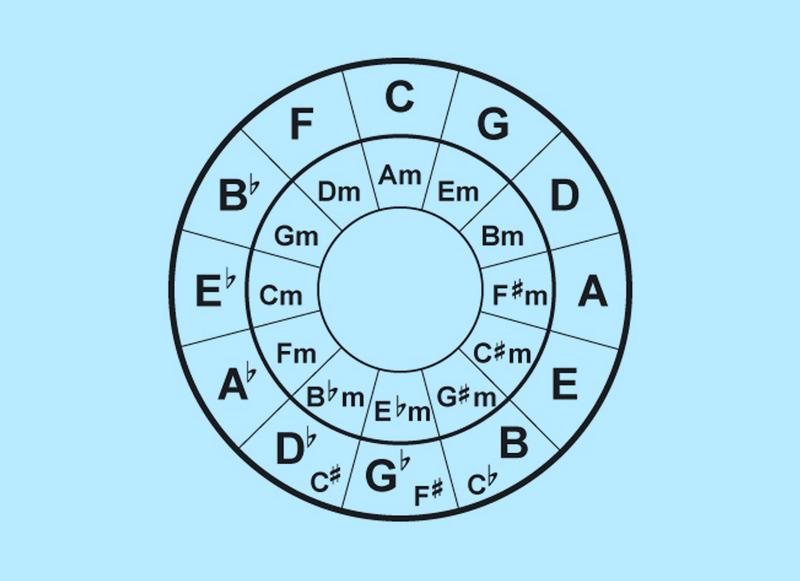 As it's name implies, the Circle moves in Fifths(every 5th Scale Degree) beginning at the top, clockwise with the Key of C, to G, then D, and onwards. Key Signatures are determined by the Number of Accidentals(Sharps, #, or Flats, b,) Signs indicated on the Staff space between the Treble Clef and Time Signature at the start of a Music Score. Don't allow lack of knowledge to kill them. Book your first lesson or simply to find out more about my guitar lessons don't hesitate get in touch via the contact form below. Photo credits: Kris Kesiak, Alberto R. Salas.